Are your arms ready? Because once you see Royce Cuddles, you’re going to be doing a lot of hugging. He’s our big oversized 30in (2.5 ft) Giant Teddy size, and you’ve never seen navy blue fur like this on a teddy bear. Royce is velvety soft and huggable, with a big plump body, a chubby brown nose, dark eyes, a big smile, and wears a brown and white checked neck bow. We bet you know someone special enough to deserve a big teddy bear like navy blue Royce Cuddles. 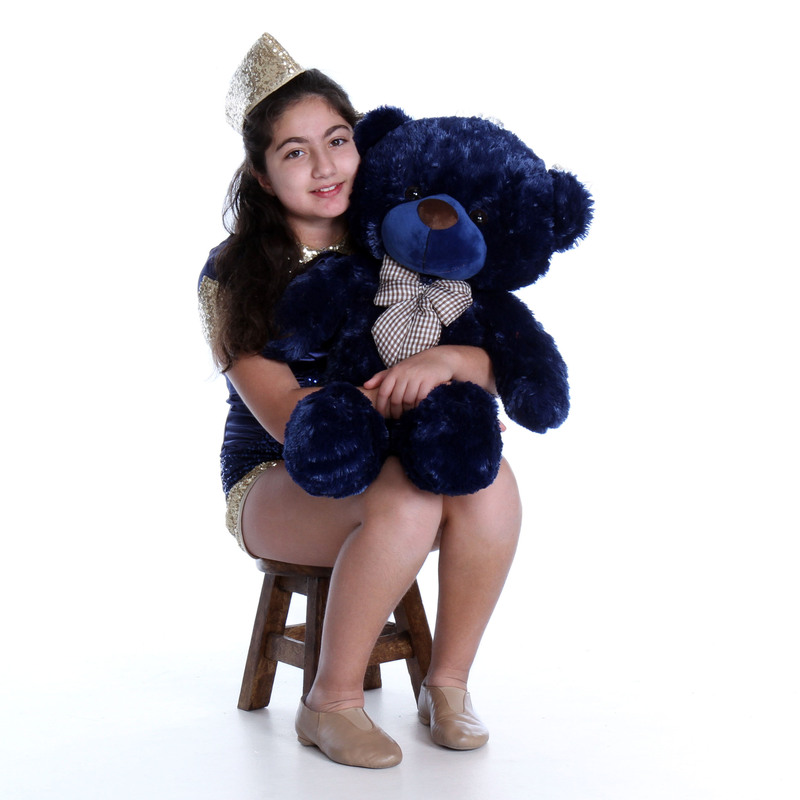 Shop more of our blue teddy bears. This purchase was a gift. As such it is impossible for me to do more than judge it by the reaction I received from the recipient. She was very pleased with the gift and thought it was perfect.